It's only when I left Heron Island in May that I decided to work to get my 2nd working holiday visa, not to stay a second year in Australia but just in case I decide to come back in the future before I turn 30. We never know...So I contacted by phone and emails a few farms registered on the Australian Wwoof Book and its only after a few days that I finaly found a wwoofing job in the Whitsundays. 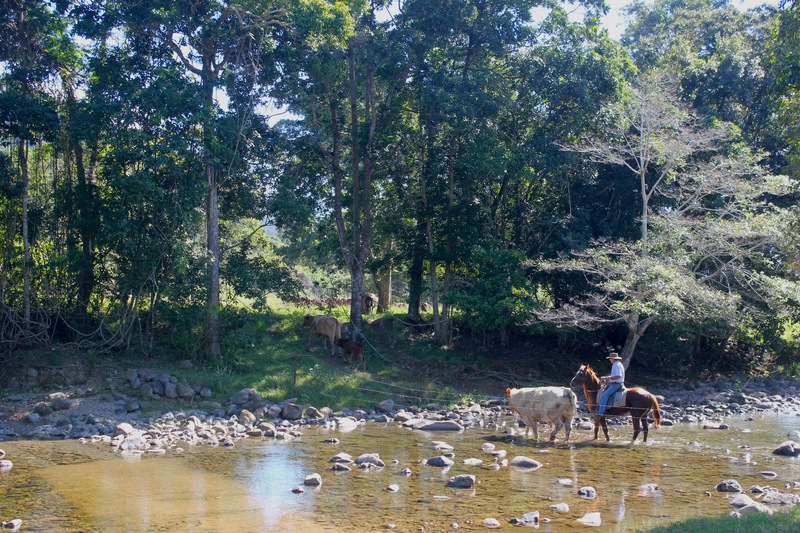 From my stay in the Whitsundays I don't only keep memories of the cruise on the Great Barrier reef, I also had a great time during the ten days I spent in a cattle station in the countryside near Bloomsburry. Cattle stations are huge farms spread out all over Australia. The biggest cattle station in the world is actually located in South Australia and is 6 000 000 acres which is about the same size as Israel! In the biggest of these farms the farmers must use helicopters to locate and muster their cattle. Nothing so spectacular in the farm where I stayed to do some wwoofing as the property was 300 acres with 500 cows and 5 horses. Beth and Ray the owners who hosted me were very welcoming. Their house is located at the end of a dirt road in the middle of nowhere surrounded with forests and mountains. I ended up working mainly with the cattle. 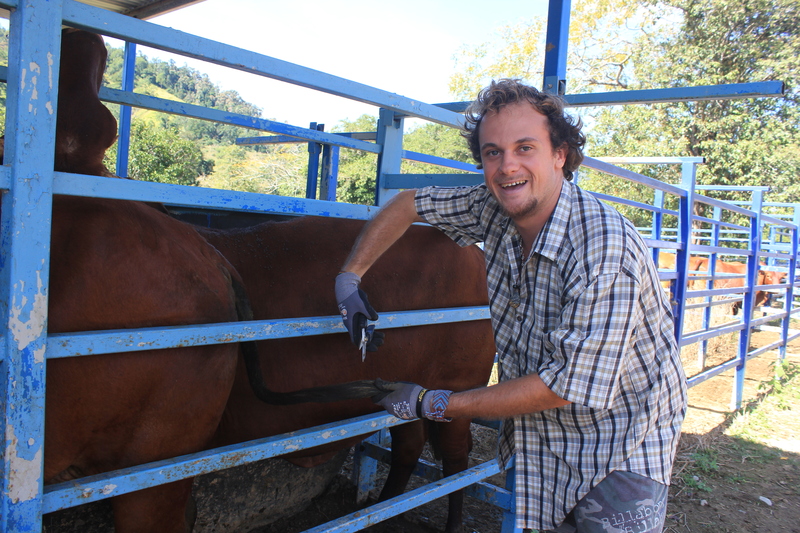 Every morning I was going with Ray to feed the cows with molasses, a kind of thick cane syrup. The work was not too difficult on the whole, I was there only to give a hand to this lovely couple. I've learned a lot about cattle and more generally about life at the farm dealing sometimes with unexpected situations. Who would have believed that one day I would end up driving a tractor at 8 in the morning or cutting cow's tails?! One afternoon I witnessed a really bloody sight which almost made me vegetarian: the dehorning! A Carrie kind of scene, not really nice to watch but Ray explained me that it was the only way for him to avoid that the cows hurt each other. On top of the work with the cattle I did also lot of fencing. We did a kilometre of fencing in three days. Each fence is named after the woofer who has been helping them! This first wwoofing experience in Australia was pretty nice as I did not have the feeling that I was working for them but WITH them. Plus, we really got on well and they really looked after me, it was a bit like going back to my grand parents. For example I was quickly making my bed every morning but Beth always making it again nicely after me and of course I was given some chocolate every evening after diner! The last evening before dropping me off to the bus stop they invited me for diner at the local pub. They also gave me a pair of shoes to replace my old ones who wouldn't have survived to the 88 days of farm work. A nice way to end my stay at the farm with them. 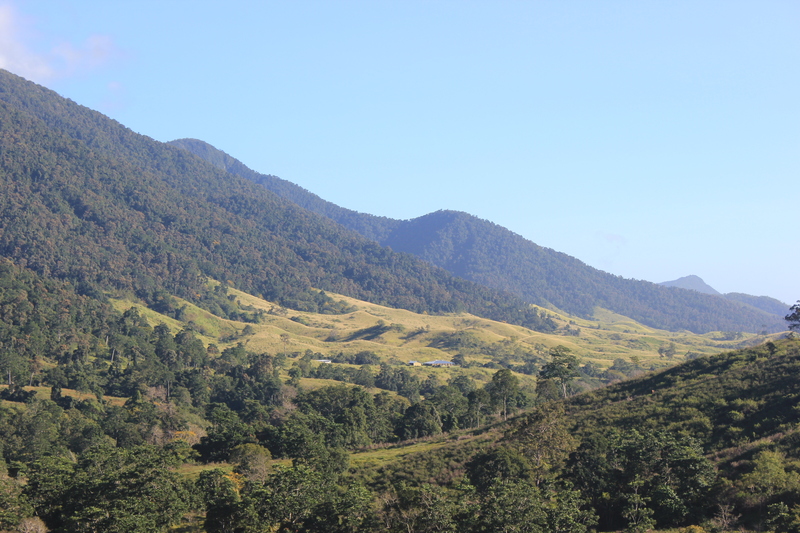 That lead me to my second wwoofing experience, 590 kilometres North of Proserpine, near Gordonsvale. An experience very different from the last one that took me in a property located in the middle of the rainforest. North of Queensland is very tropical and when I got of from the car I had the very unpleasant feeling to be inside a greenhouse surrounded with a lot of vegetation ! 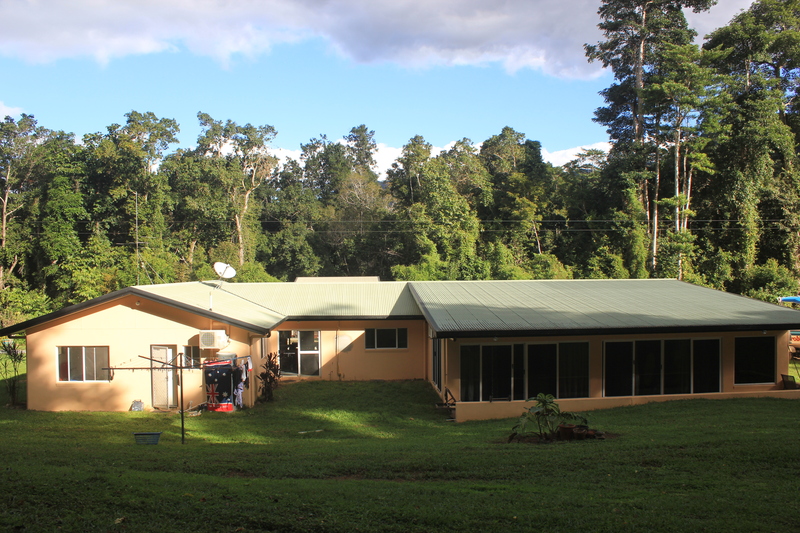 This time I was going to work for Russel and Sandra, a curious couple as she is a 26 German girl (finishing her 2nd year visa in Australia) and he's a typical Queenslander, 20 years older than her, both living in this big house in the forest by the river. I understood straight away that their state of mind was very different from my previous host's. Indeed I arrived in their place on a Sunday morning at 9am – after a 10 hours bus journey in the night – At 10am I was already holding a shovel to dig in their garden ! Nice, isn't it?! Yes wwoofing is an amazing concept but like any other job there is always a risk of working for people who take advantage of you. Never forget that you don't have to stay, there is no contract, if it's not going well you can easily leave and go to work somewhere else. Fortunately another Italian wwoofer came to work for one week with me. The tasks around the house were varied : cutting the trees, planting ; gardening... Some work were pretty difficult but as there was no rush as the couple was not at home during the day as both were working in the city. So they left us the house...and a to do list for the day ! 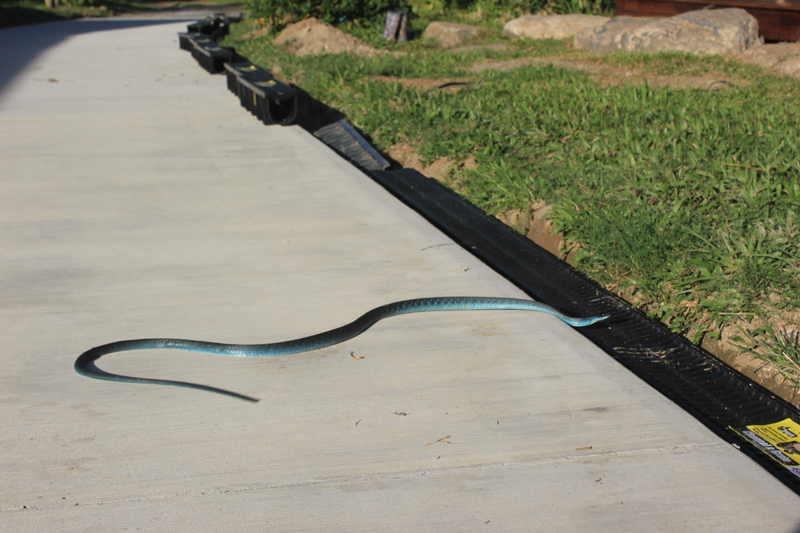 One afternoon we saw a blue snake that freaked us house and went to hide in the barbecue ! It took us more than an hour to chasse it ! A classic wwoofing moment ! Even though the exchange with the host were not very interesting, they were cooking very well for us every evening. Once, Russel brought three crabs from the river that he killed and cooked in front of us. A delicious meal prepared with curry and coconut milk. Winter is also the lemon season. The trees are completely covered with lemons so every day we tried to use them to make cakes or limonades. A Sunday afternoon Russel lent us his canoe and with Roberta, the Italian wwoofer we went down the river for three hours in the middle of the rainforest. I stayed at Russel's for 20 days. This time i did not feel any connection with the hosts but I spent a really good time with the two Italian wwoofer who worked with me. 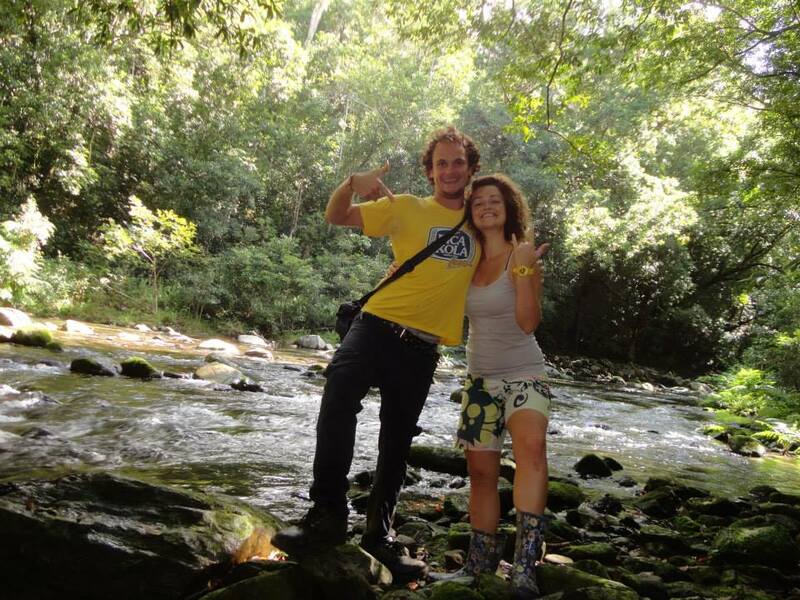 It was a unique opportunity for us to spend some time in the rainforest living and working at our own pace as if the place was belonging to us.